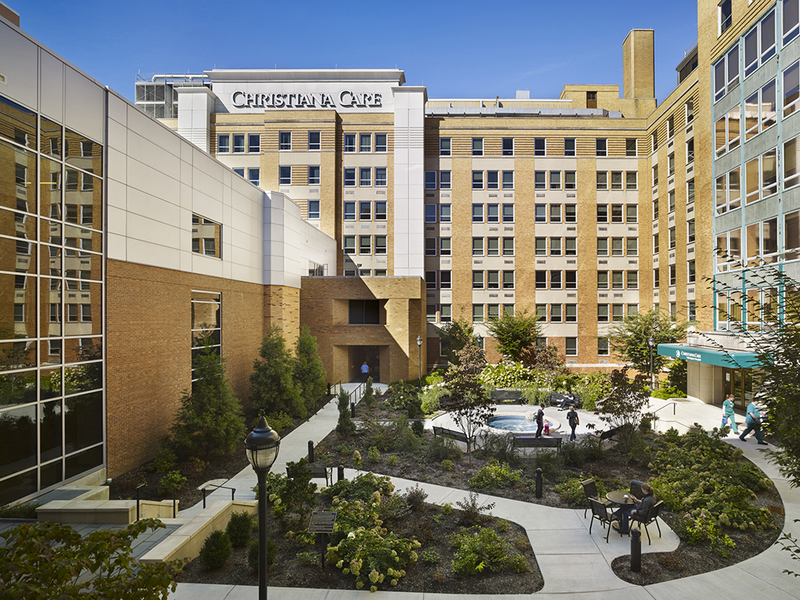 Originally constructed in between the 1920’s and -60’s, this urban campus had to contend with aging infrastructure and congested traffic patterns, with patient drop-off, ambulance, and pedestrian traffic crossing and using the same access point. 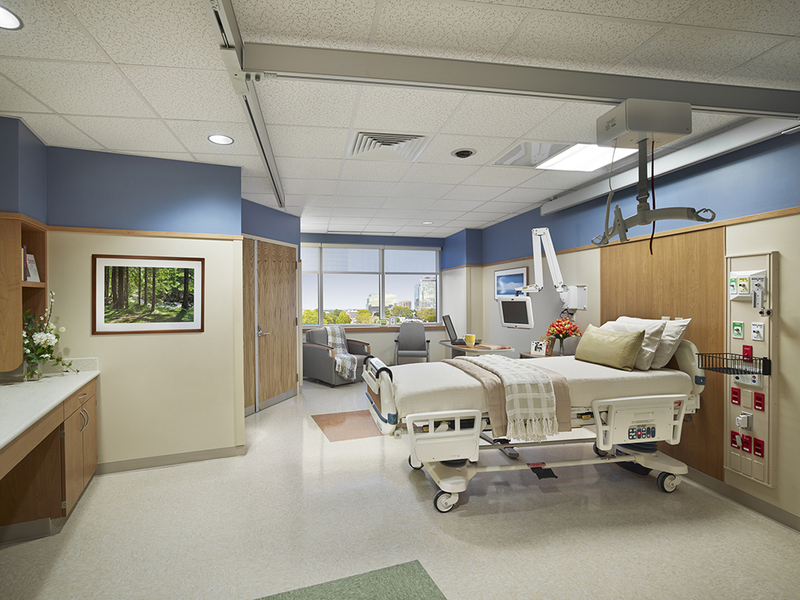 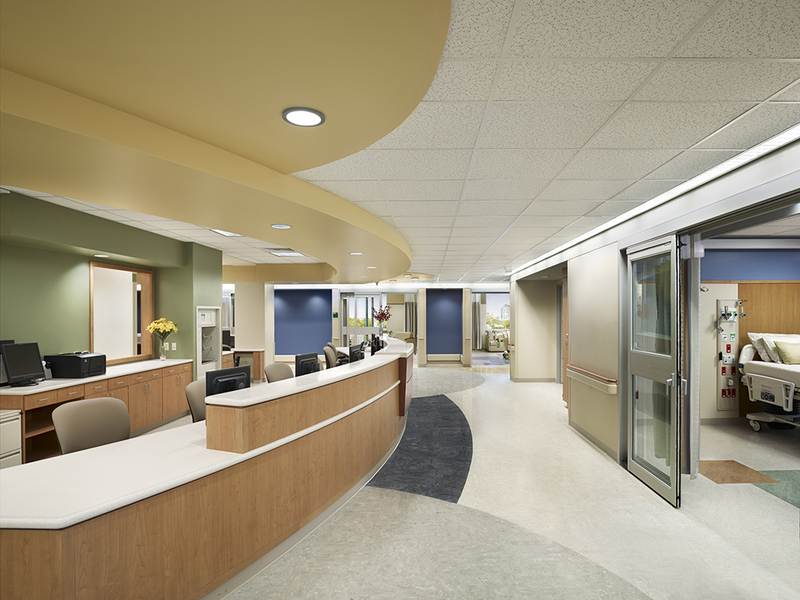 Extensive additions and renovations have transformed the hospital, expanding and modernizing many of its key clinical departments. 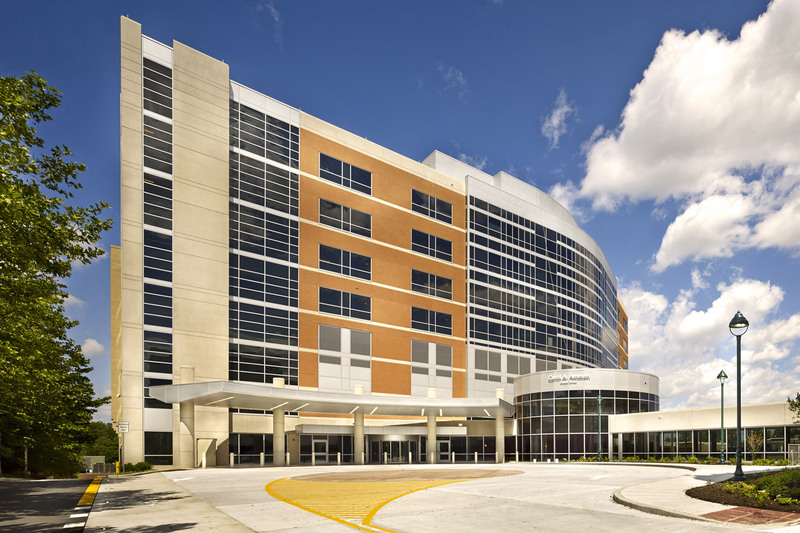 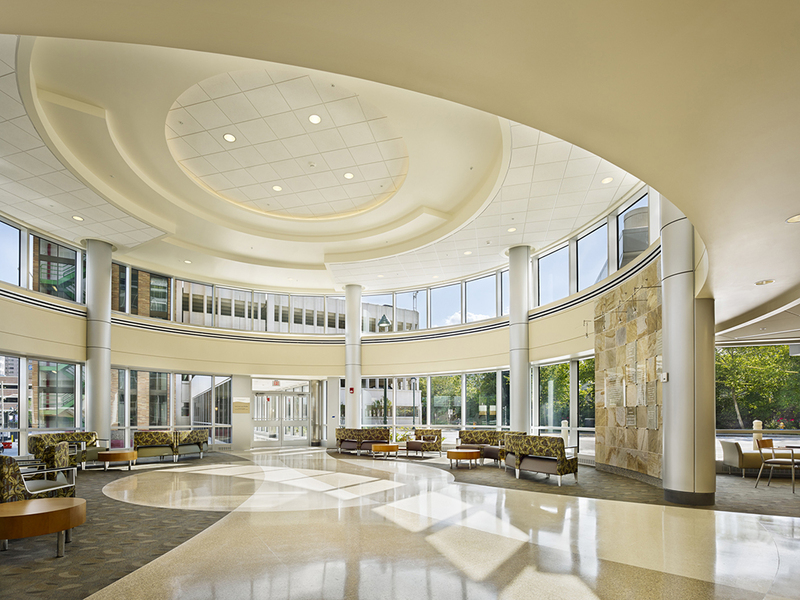 Completely redesigned circulation patterns separate the public and emergency traffic onto different levels, with distinct entrances and approaches to the hospital distinguished by a striking glass rotunda. 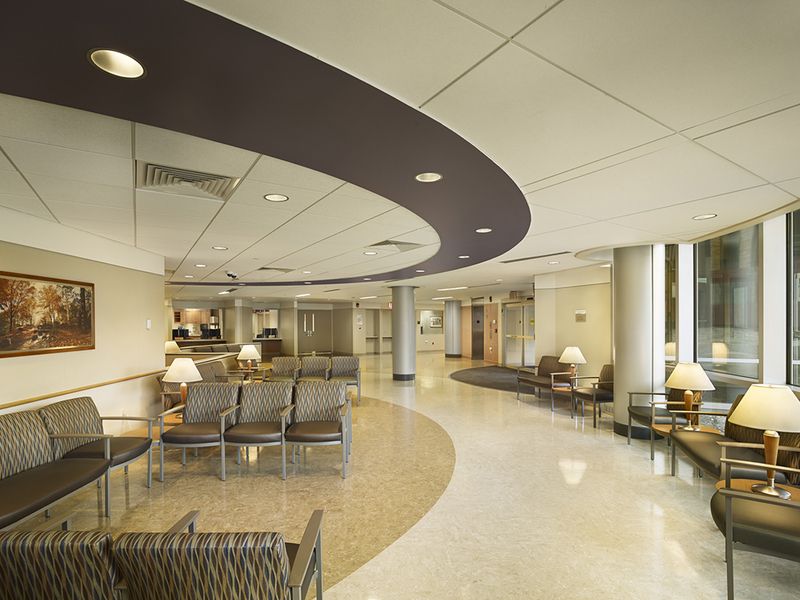 A safe, new interior walkway leads pedestrians from the parking garage to the main entrance. 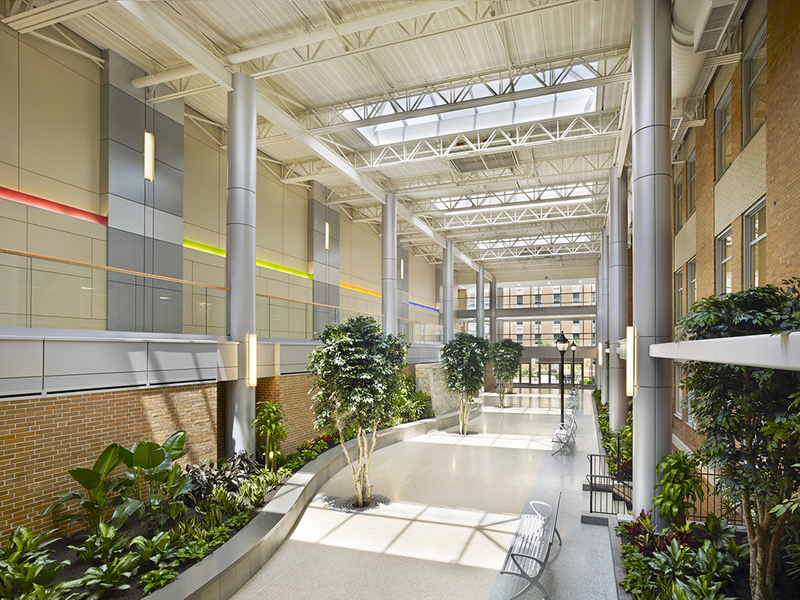 Further, these improvements have allowed for the redevelopment of the existing internal autocourt into a new healing garden and atrium, providing a soothing environment for patients to heal and connect with nature.